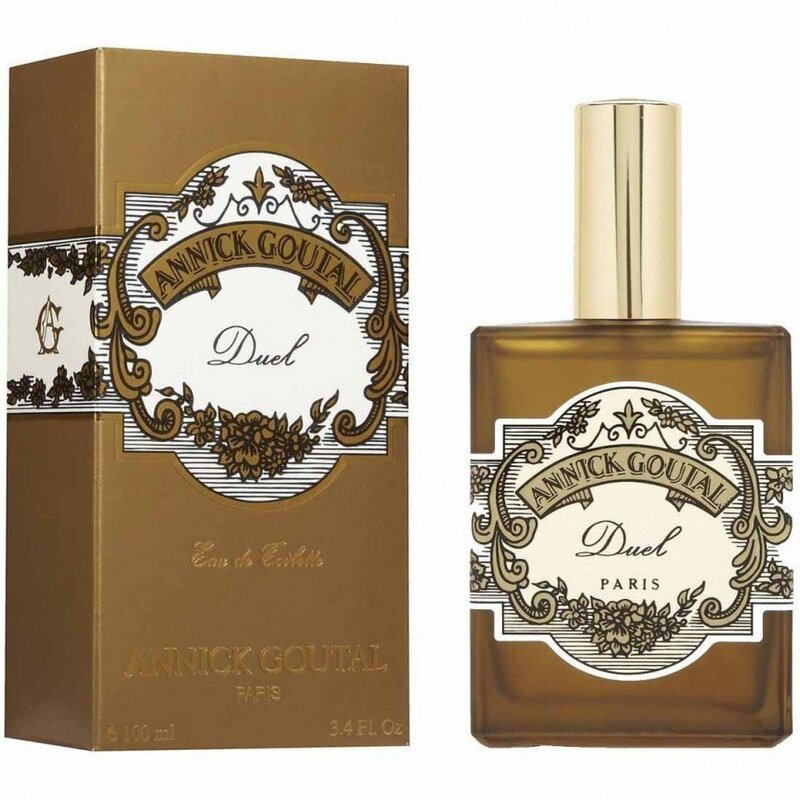 Duel is a popular perfume by Goutal / Annick Goutal for men and was released in 2003. The scent is spicy-green. It is being marketed by AmorePacific / 아모레퍼시픽은. Nothing has been written here for a long time! And it's such a beautiful scent. I've had Duel for several years now, there's still something in the bottle, because I also wear other fragrances in the meantime. After a long search in the Oberpollinger in Munich I was recommended Duel by a very nice saleswoman. Duel is not an aggressive, intrusive fragrance, as the name might suggest, it is rather light, delicate, but also bitter, but never intrusive. And: he is absolutely unique, it may be that he is the mate, but nothing else smells like Duel. I immediately detected petit grain upon applying Annick Goutal DUEL, and what I thought was vetiver! According to the notes, which apparently include gaiac wood, not indicated above, what I am perceiving as vetiver is an olfactory illusion created out of wood and maté. However, maté can be quite bitter, which this composition certainly is not. DUEL is smooth and calm, and as it dries down, it feels ever-so-slightly leathery, but not in the off-putting, rubbery, synthetic way in which so many in-your-face leather fragrances are today. To my nose, DUEL is neither masculine nor feminine. It is quiet and conservative, not at all a loud cologne guy frag or bracing citrus slap in the face. I rather like this creation and although I do catch wafts of pencil shavings along with the leather, the overall effect is very light and pleasing to my nose. DUEL reminds me a bit of the scent of sand and the sound created by walking along a pebble-littered path, as odd as that may seem. It find this creation quite serene. The quality is indisputably niche. Another fine fragrance from the house of Annick Goutal. Duel is a nicely done aromatic fragrance with hints of leather, citrus, tea and rich tobacco. It's subtly done, and is a wonderful choice for Spring and Summer wear. 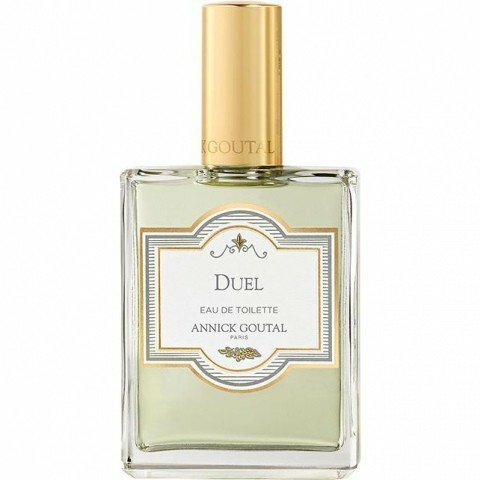 Annick Goutal tends to make rather bold orientals or sharp citrus scents, however Duel is not so 'in your face'. Although masculine, it's not strictly so, preferring to adopt a unisex feel, which is both elegant and unique. While I think Sables has more character, I like Duel's refreshing approach. It's clean and light but not in a boring aquatic or citrus after-shave sense of the word. It doesn't smell generic or for that matter, like anything you'd find the average man wearing. It's quite cozy and lovable. The tea note stands out the most for me, followed by smokey tobacco and subtle hints of lemon and lime. It can be quite linear at times, however I'm not too bothered with its lack of development. I enjoy the scent nonetheless. Perhaps its only disappointing aspect was its lack of lasting power and strong projection. I'm used to Annick Goutal's male fragrances being lasting and bold. In regards to price, Duel is rather cheap when compared to other fragrances from this house. It may be worth trying if your man, or even yourself, wouldn't feel cheated if the fragrance only lasted a few hours and required touch-ups during the day. Write the first Review for Duel!